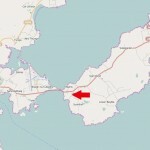 For location, please click the above map items. If you would like an immediate check for availability please feel welcome to telephone – I have an answering machine in case I’m out and will call you back promptly. You can also send an email to blueboyted@hotmail.com or complete the booking enquiry form – please note that a booking is only made after we have confirmed availability to you and you have agreed the booking with us. 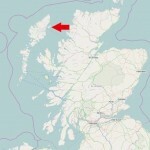 Travel east from Stornoway on the A866 signposted for the Airport. After about 2.5 miles continue straight on the A866 past the the airport turning. 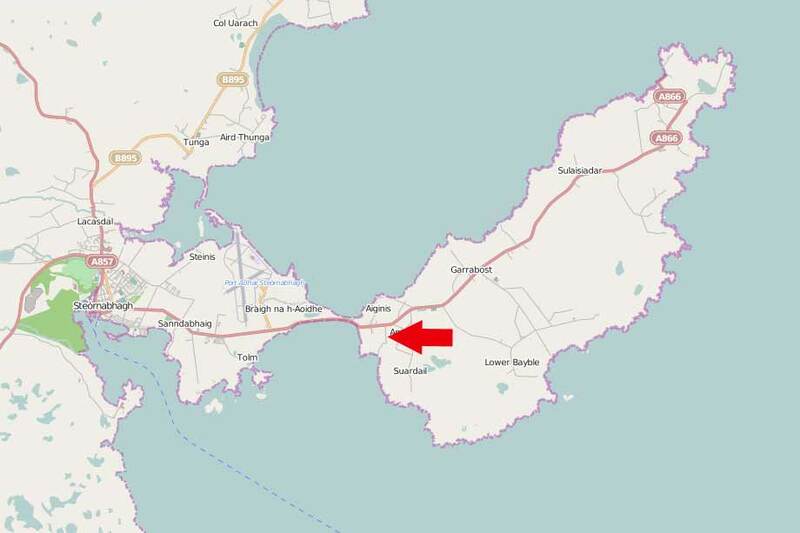 You will then cross the Braighe – a seawall causeway running for about a mile over the narrow strip of land which joins the Point of Eye Peninsula to the main body of the Isle of Lewis (note that the peninsula is know locally as ‘Point’ and is signposted ‘An Rubha’). 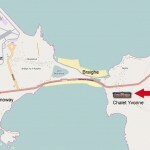 Chalet Yvonne may be seen on the right from the main road, alongside the croft house on Shore Road (signposted Rathad na Ceardaich) and about 0.4 miles after crossing the Braighe causeway. Turn into Shore Road and access to the chalet is via the croft house driveway. 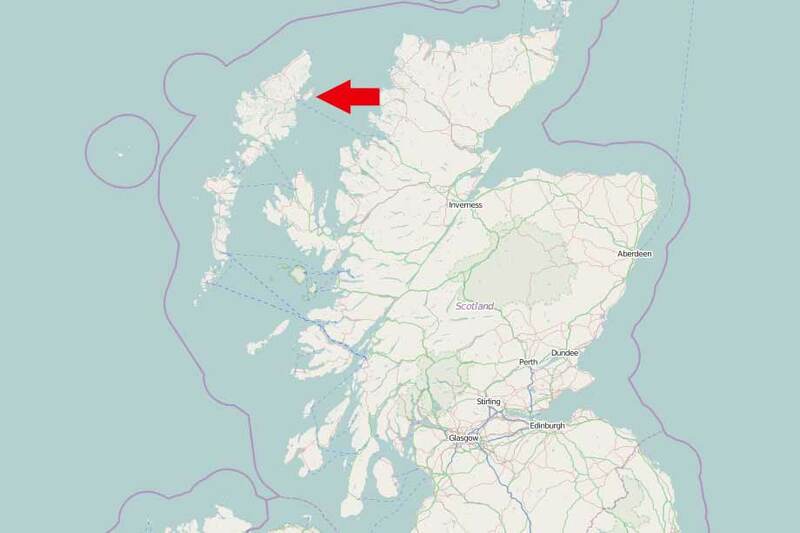 As the postcode area is quite large, if using a GPS/Sat Nav to find us, if possible, you should enter the co-ordinates 58.204443 (lat) and -6.274534 (long). 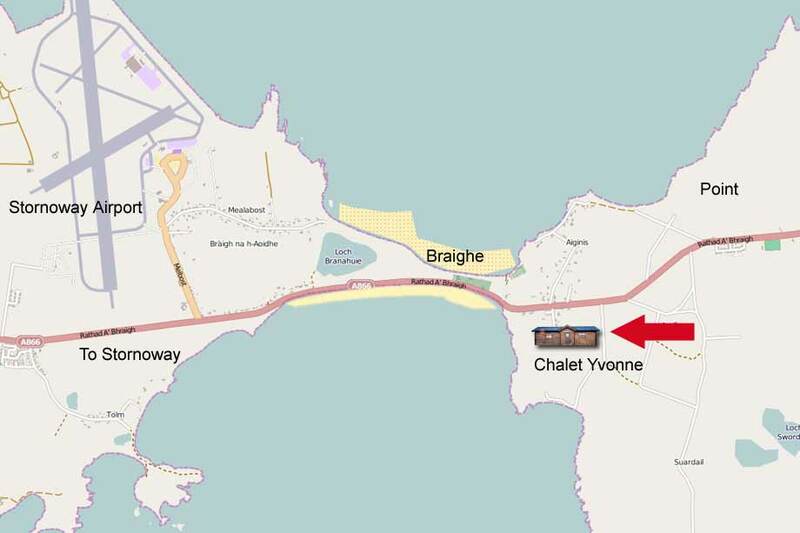 Chalet Yvonne is just to the right of the croft house you can see in the Google Street View map below – Street View photos were taken before the chalet was built.